Looking for an easy way to update your living space? Look no further. 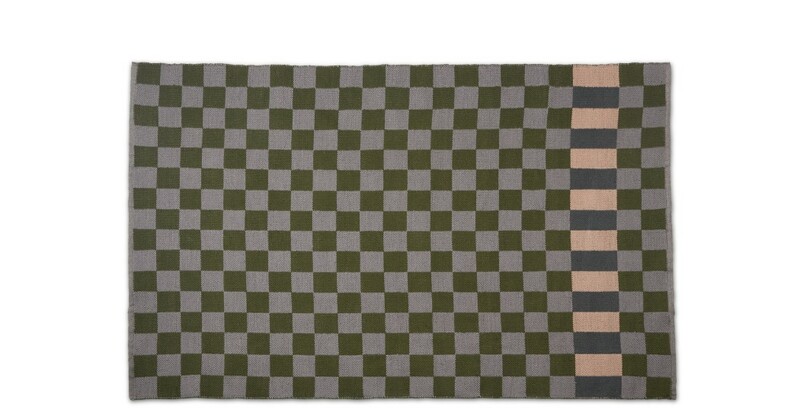 Vista is the rug for you thanks to its iconic check pattern and bold, modern colour palette. Handwoven using a yarn crafted from recycled plastic bottles, Vista is remarkably soft to the touch, but practical and durable. Suitable for use inside or out, it’s perfect for high traffic areas and is stain resistant too. Vista is the work of our super talented MADE Studio design team. They’re a clever bunch, taking the latest trends and adapting them to suit you.